Gilbane places special emphasis on limiting the impact to patients and staff while working on an active healthcare campus minimizing disruptions to on-going building and healthcare operations. Architect: Fred M. Humphrey & Associates Inc.
Gilbane provided construction management at-risk services for multiple projects within the Orlando Health Arnold Palmer Hospital for Children. The renovation projects were completed by the Gilbane team while the hospital remained fully operational during construction. The renovations included the installation of single-photon emission computed tomography (SPECT), radiology rooms, transfer switch equipment, as well as renovations to the exterior of the emergency department façade. Because the projects were completed at an active hospital, they required sensitivity to avoid contamination to adjacent rooms and nearby spaces. SPECT Gamma Camera Renovations: This project included the installation of a new single-photon emission computed tomography (SPECT) including architectural, mechanical and electrical installation work. The 2,000 SF facility is immediately adjacent to the existing emergency room of Arnold Hospital for Children. The Gilbane team had to take extra precautions working on the project due to its sensitive location. MRI and X-ray Expansion: Arnold Palmer Hospital for Children is recognized by the American College of Radiology (ACR) as an accredited imaging center in the areas of Magnetic Resonance Imaging (MRI), Nuclear Medicine and Ultrasound. Arnold Palmer Hospital is number one for treating some of the toughest children’s health issues in the Central Florida area and requires a high degree of care regarding infection control. With this requirement in mind, Gilbane Building Company, along with Fred M. Humphrey & Associates architects, was given the contract for demolition and improvement to the first floor, which included installation of a new MRI suite and x-ray change-out. 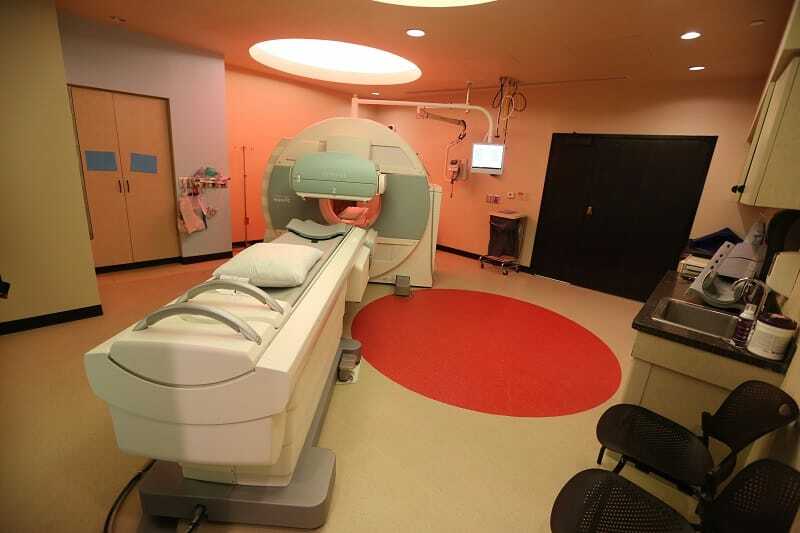 This 12,370 SF project required the relocation of an existing x-ray room and staff-lounge as well as the build-out of four pre and post operation rooms and extensive renovations to the corridor entering into the MRI Suite. Upgrades and improvements to mechanical/electrical/plumbing and fire protection were also included in the project within the hospital. 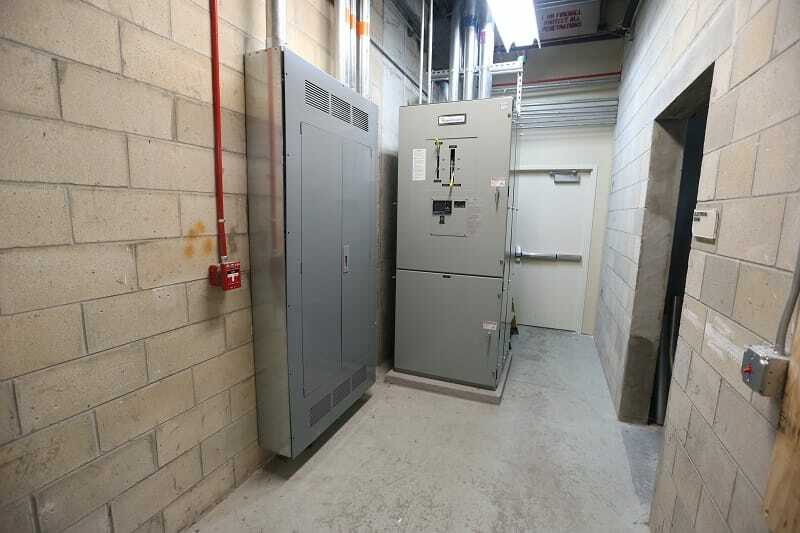 Transfer Switch Upgrade: The project involved the installation of the automatic transfer switching equipment for the emergency power system at Arnold Palmer Hospital for Children. The project involved over 10,000 SF of renovated space including new walls, doors and fan coil unit in the Central Energy Plant (CEP). 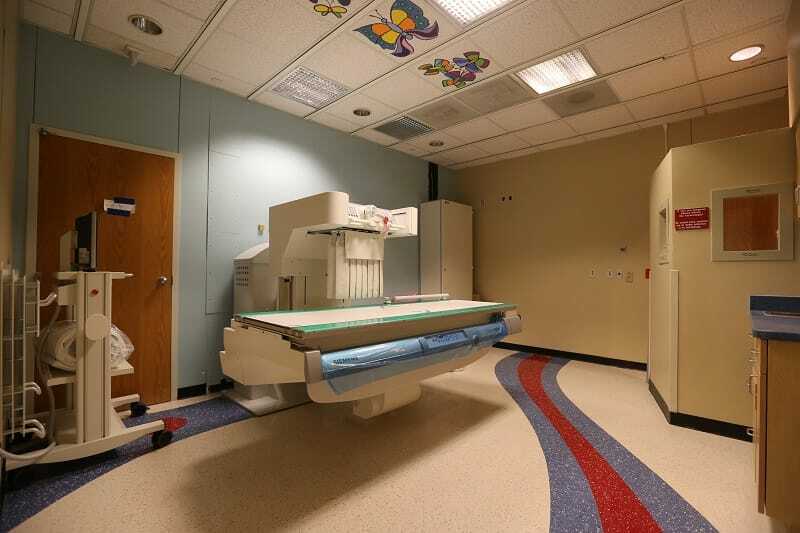 Pediatric Radiology & Diagnostic Imaging Renovation: This project involved the renovation of two new pieces of radiology equipment including the complete renovation of approximately 5,000 SF in the rooms containing this equipment. Emergency Department Exterior Renovations: This project involved the demolition of buildings at the emergency department and revisions to connecting walkways approximately 3,600 SF. Gilbane had to keep the hospital and emergency department operating without interruption throughout construction. Gilbane’s 30+ years of experience working with the Agency for Health Care Administration (AHCA) in Florida has resulted in a complete and thorough understanding of the requirements and regulations necessary for construction planning. This expertise ensures Gilbane’s project team successfully meets all AHCA requirements. Our team of healthcare construction professionals understands the importance of AHCA’s mission to provide “Better Health Care of All Floridians”, and proactively perform pre-AHCA surveys prior to final AHCA inspections throughout the approval process. Gilbane worked with AHCA to schedule site inspections every three-weeks to review the progress of the construction and to ensure the inspection team members were current with work taking place at any given time. This type of coordination is key to completing the projects on time and assuring all work was done in compliance and within regulations.